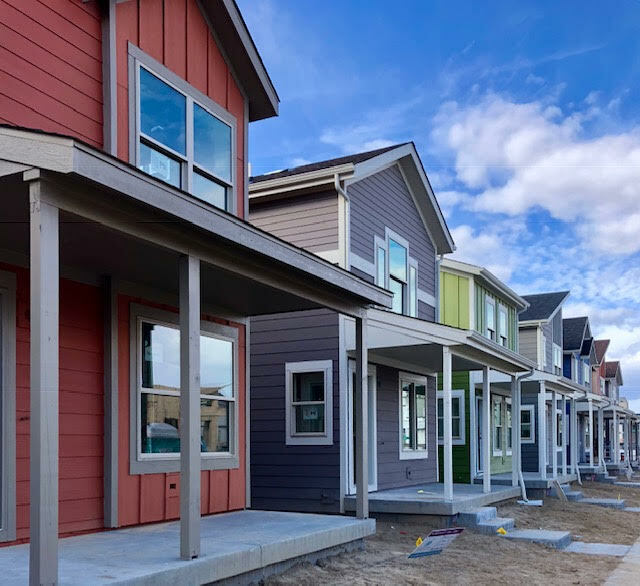 The first homes are now being built in Stapleton’s “North End” neighborhood! You can see them in this pic to the right. Here’s the latest “News & Notes from North End” update for you. As always, these updates are just going to briefly touch on happenings around North End. If you want more specific info or you’d like help from a local buyer’s agent that focuses on the area we’re here and happy to help you! 6 of the 8 builders that will build in the area are now up and running so North End is coming to life. Parkwood Homes – Selling fast! Thrive Home Builders – Now has lots available in all their town home and single family series in North End. David Weekley Homes – Released first lots a few weeks ago in their single family and paired homes series. Wonderland Homes – Released first lots in all their town home and single family home series a few weeks ago. KB Home – Lots available in most series, Starlight ranch series currently out of lots but you could reserve a future one. Who’s not selling yet but will be releasing lots for sale soon? Lennar – Builder not sure of release time yet, coming soon I imagine. Creekstone Builders – Working on an update here. Infinity Home Collection now selling in North End! Infinity is going to have some of the best lots from a size and mountain view perspective in the whole neighborhood. I’ll be doing an update video with them on their Luxe and Vive series in the next week or so and will share it with you. In the Alto series (think rooftop decks!) they have lots available now and you can see those here. 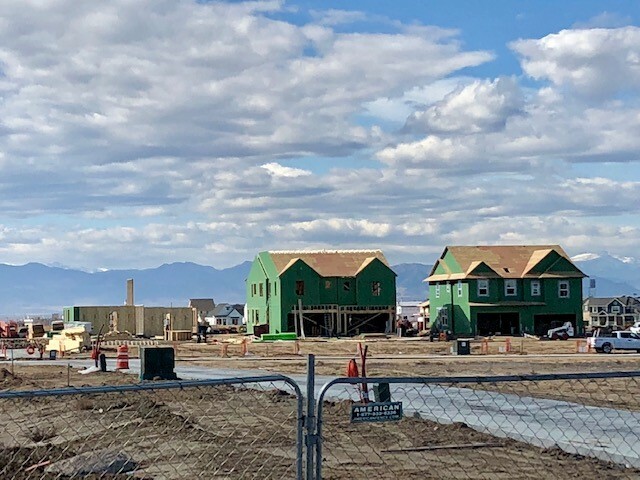 Parkwood has been selling their lots at a real fast pace, especially in their single family homes series, as buyers see this as one of their last chances to build a semi-custom home in Stapleton. They have 3 lots available in the single family home series, 3 in the Painted Ladies series (facing the amazing park and pool!) and 4 available in their Beacon Hill town home collection. Here is a page on their website where you can scroll down and see a really handy map they put out that shows the available lots. We also wanted to pass along the base prices and plans on the single family homes and if you need helping budgeting what they would cost “all in” Mariel Ross from our team has built up some amazing knowledge you can tap into. You can reach her at mariel@focus-realtors.com. The developer is hard at work on the large green space between Beeler Park and North End. It’s looking great with trees, sod, boulders, sidewalks, etc all being installed. Check out the pic of this new playground going in. A “wee cottage” from Boulder Creek Builders in Beeler Park just became available and it’ll be ready to close in the next 2 months. These sold out right away so this is a rare chance for a buyer looking for a single family home in the $430k range. Here’s a post and video we just did about this opportunity. Some builders have some “specs” (meaning homes at or near completion for quick move in!) in Beeler Park. These “hidden inventory homes” (we call them that because some are not even listed in the MLS) are perfect for buyers that want to move in quick but can’t find the right resale home. Thrive has two “EDG” plans in their ZEN series, and a handful of lots in the Panacea series. Lennar has 3 town homes in this series they’re ready to sell. Wonderland Homes has a handful of single family and town homes ready to go. You can see those specs here. One of my favorites is 5810 Boston St, it’s sleek, has a great open floor plan and it’s complete this week so you could be in before Christmas! Compared to what you would get in the high $500k’s in the resale market I think this one should sell soon. 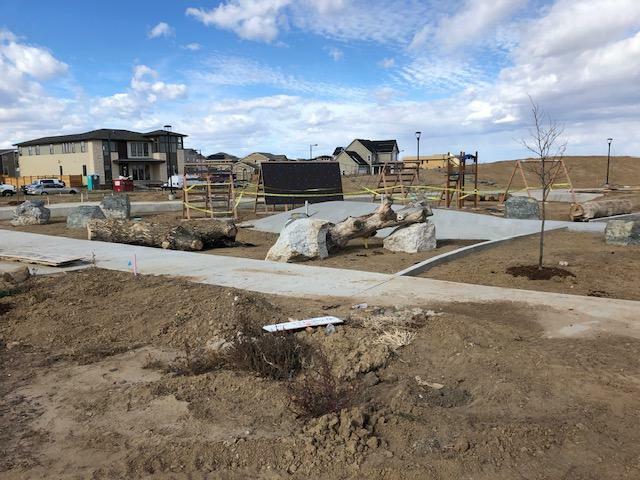 Lastly, builders are starting to release their lots in the Bluff Lake neighborhood of Stapleton, South of I-70. There will be homes in the Denver and Aurora parts of the area so some homes are in the Stapleton DPS schools and others are in APS. Quick FB Live video to learn more. That’ll do it for this update. Want more info on anything? Have questions? We’re here to serve buyers as their Buyer’s Agent on new build homes in Stapleton. We aren’t captive to any one builder so we can help you assess all your new and resale options to find the best fit. Plus we’re paid by the builder, not you, so there’s no cost to having a Buyer’s Agent. So please reach out if we can be of service. If you know anyone who would find this info helpful please forward it on to them and just let them know to sign up at homesinnorthend.com to get updates going forward.